Minky has some stretch, usually more stretch one way than the other. A walking foot is helpful for piecing Minky. A larger seam allowance is good when pieicing Minky- more like 1/2" to 1" is better than trying to do a normal 1/4" seam. 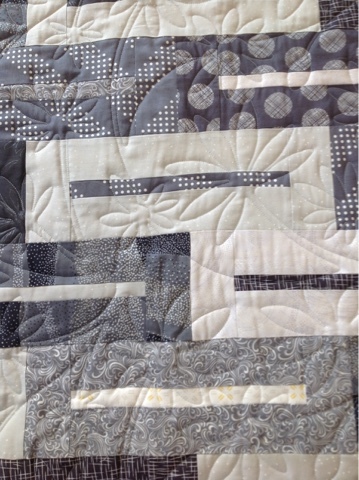 When using dark Minky, and a lighter quilt top, the longer fibers of the Minky can pull through to the top with the quilt stitches. 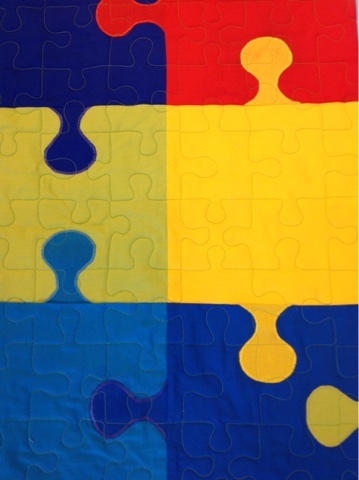 Using a lighter/matching color on the back can help with this. 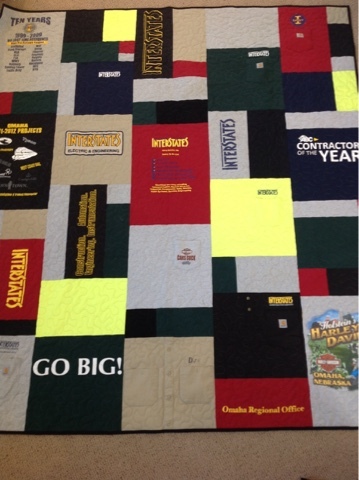 Some quilters ask if batting is necessary with Minky, I usually do use a batting. 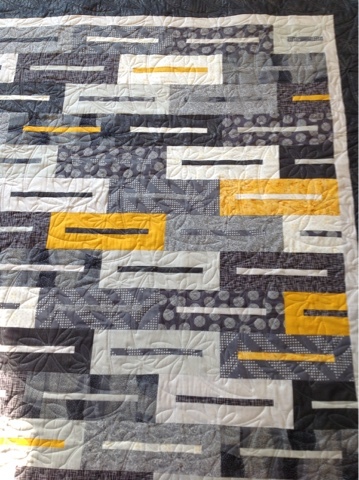 I've used the Hobbs Heirloom quite a bit, and also Quilter's Dream Request weight works well- it's very thin, just enough to fill out the quilt. 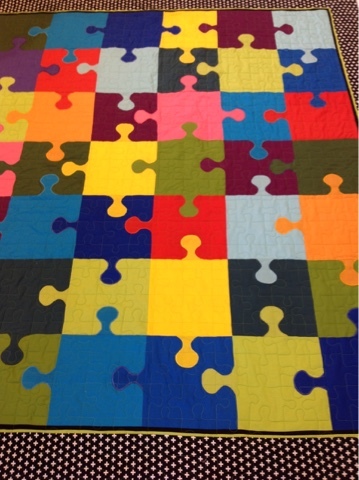 The quilt can be bound just like a cotton quilt, just take time to notice the direction of the Minky nap, as it can push the binding strips one way or the other. If you take your time, it will work out ok. 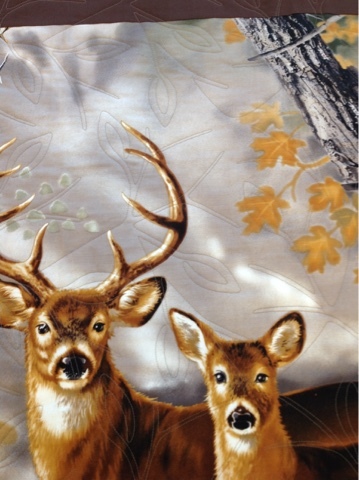 I still need the extra 3-5" inches of backing, larger than the quilt top, this is especially important with Minky, as I may need to trim the edges to straighten them. 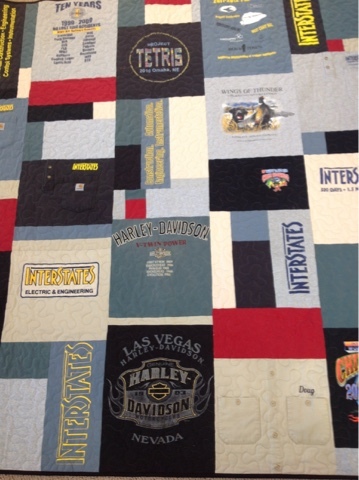 A panel quilt... 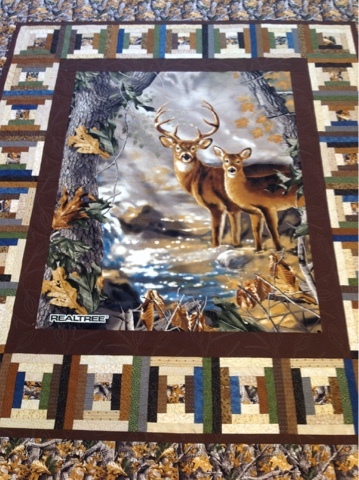 I used the Last Leaves pattern with a fine thread, so the quilting didn't overpower the deer scene. 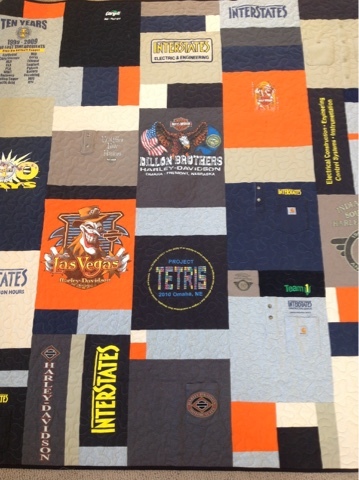 Three custom-made memory t-shirt quilts.... These were done using a random layout.